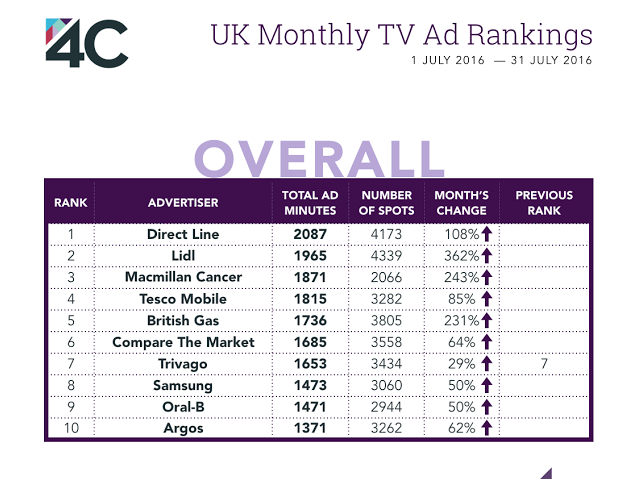 Direct Line was the most advertised brand in terms of airtime across UK television last month, followed by Lidl and MacMillan Cancer. 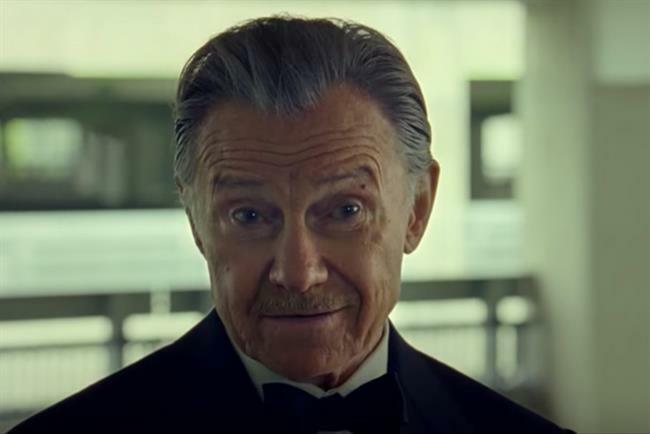 The insurer racked up 2,087 minutes of airtime across 4,183 spots last month, despite not being among the top five advertisers during peak time viewing for neither free-to-air nor pay TV. 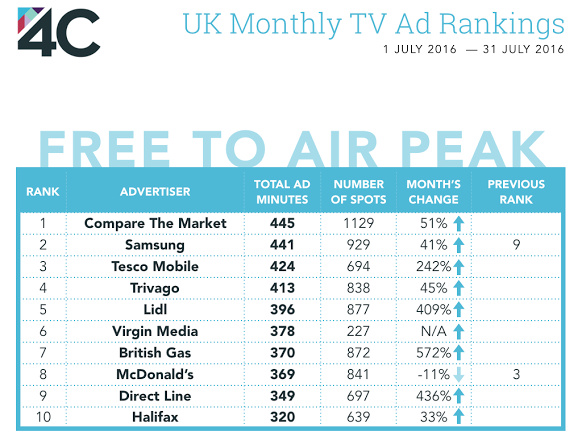 Comparethemarket.com was the most aired brand on free-to-air and pay-TV peak time during July. The price comparison website was broadcast across 445 minutes over 1,129 spots on free-to-air at peak time – up 51% versus June – and 297 minutes on pay-TV at peak-time – up 60% on the previous month. 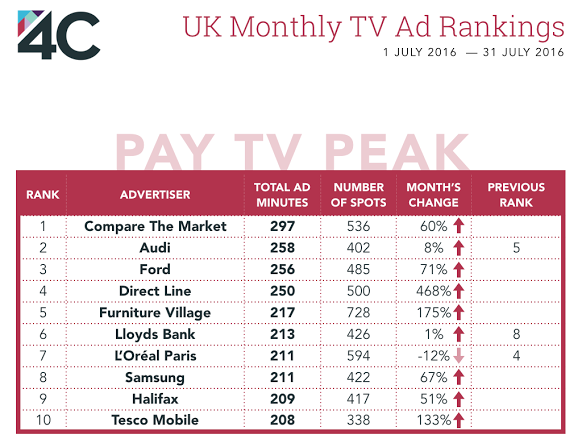 Samsung and Tesco Mobile were the second and third most-aired brands across free-to-air peak time last month, while Audi and Ford followed Comparethemarket.com as the most aired brands on peak pay-TV. The figures were collected by data science company 4C.